One of my favourite high end makeup brands is Make Up For ever, due to the versatility in products and overall quality. With that being said, high end is always going to be pricey and today I come with a dupe to one of their popular products (with a dupe shade!). As I was cleaning through some of my shadows and pencils I stumbled across Make Up For Ever Aqua Shadow and Shadow Eyez 12 Hr Wear. When I saw them at a quick glance, it seemed to be the same colour. Yes, ladies I wasn't aware I had a hiding dupe in my stash. As much as I love makeup, I am not one for buying two of the same product! So I decided to do a quick swatch to confirm what my naked eyes already knew. And guess what? Same shade, finish and texture. I am referring specially to Make Up For Ever Aqua Shadow (30E) and Shadow Eyez 12 Hr Wear (Champagne Toast). Both shades can be described in colour as a pearly pink beige. Side by side comparison! (Can you spot the difference? Though I consider these two dupes (very close to being identical), the Milani champagne toast has a very slight frostier finish. However has seen in the swatch above, they look the exact same when tested against my skin tone! I have to say that both formulas, stand the test of time. I wore both for 10 hours and the wear of them were the same! Make Up For Ever Aqua Shadow (4 grams of product), I find aqua shadow to have a more secure cap on the pencil. Which in the long term prevents the product from drying out. Final Thoughts: Definitely SAVE! If I knew I had the Milani shadow pencil in champagne toast, the Make Up For Ever Aqua Shadow would've stayed on the shelf :)! Have you ever found a dupe in your stash? I love Makeup Forever, I can't live without their Translucent powder! 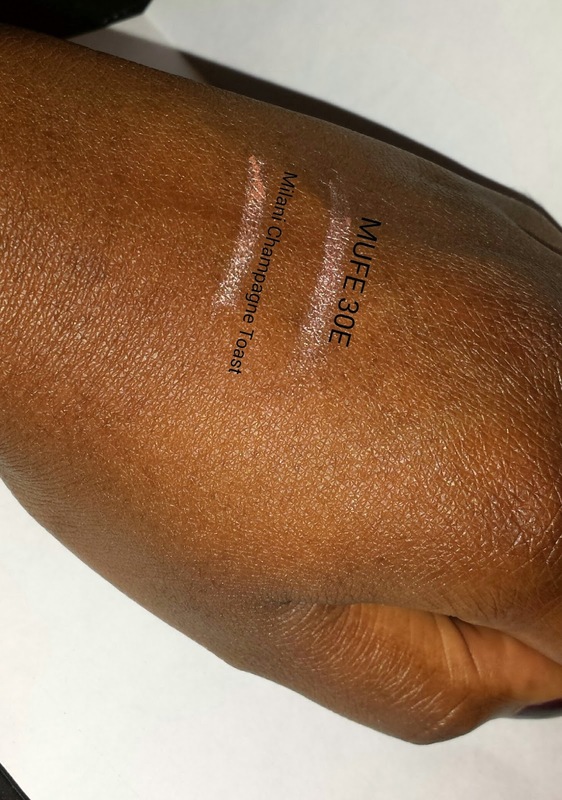 I haven't tried this product yet but I love a good dupe and Milani really has some nice stuff, I am looking for a particular blush right now but not a lot of places carry their products. My favorite high end brands are probably YSL, Dior and Clarins but I like finding a good deal as well. Thanks so much for your kind comments! I would love to see how your Valentine's Day look turns out! 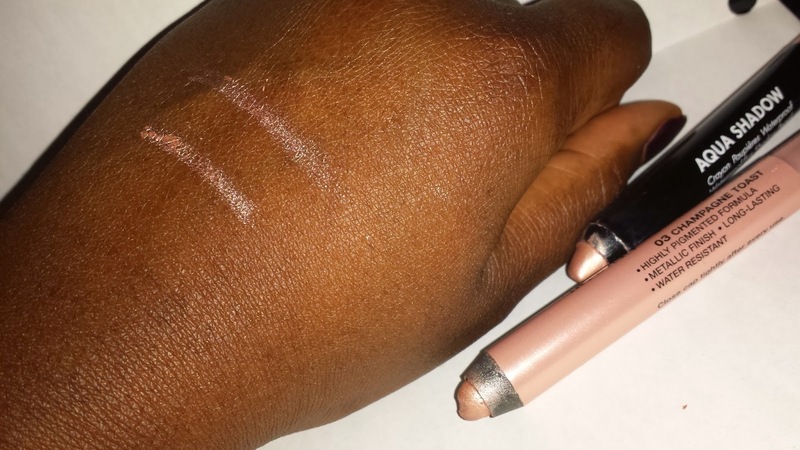 I need to get that shade in the milani pencil! I actually have a post on the shade winter white coming up soon and I completely agree with you! The lasting power on these is so good! Thank you for stopping by! Im glad Im not the only one who is simply in love with milani shadow eyez. I will keep an eye out for your post on!